What Is A Bidet And How Does It Work? Bidets were first introduced in France during the 17th century to assist with a proper cleaning after using the toilet. 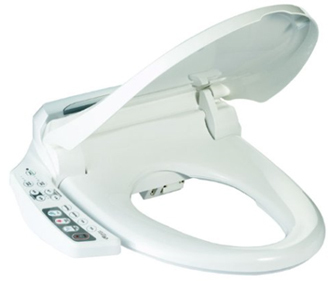 The bidet can be used for both men and women to offer a hands-free wash instead of wiping with dry tissue paper. They are now becoming more popular in the United States and will soon be a common household appliance. Bidets such as Fanny can essentially eliminate the need for toilet paper completely which will help Americans save hundreds of dollars every year. Not only are they a superior option to wiping with toilet paper, but they are also far more hygienic and sanitary to use. 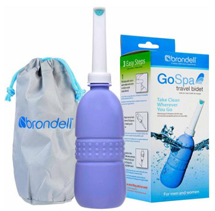 Also known as “travel bidets” which you can take with you on the go. This type of bidet is actually a small bottle with an attached tube and nozzle. You can fill it with your choice of cold, room-temperature, or warm water, and then spray yourself by squeezing the bottle. These are handy in case you are traveling and want to keep one in your luggage or carry-on bag. They are small enough to fit in your backpack but require washing after each use. This bidet is actually a completely separate appliance from your toilet. As the name states, they stand on their own for self-cleaning after using the bathroom. 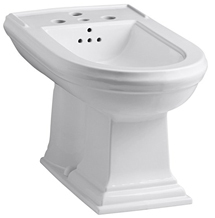 You position yourself above the stand-alone bidet and begin washing your bottom until satisfied. They are usually more expensive and take up much more space in the bathroom. This has made them an unpopular choice so you’ll most likely never see one. 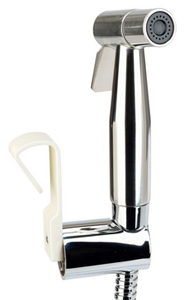 These resemble a kitchen faucet sprayer and can require a little practice to use properly. The sprayer is at the end of a long hose that attaches to the toilets water source. There is usually a clip which you can place on or near the toilet to hang the sprayer. This allows you to pick it up as you need and put it back when you’re done. 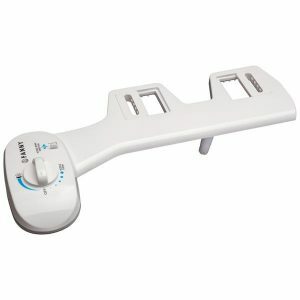 The most popular among all the bidets are these attachments which you can place onto any standard toilet. The Fanny bidet can be installed in less than 10 minutes and requires no electricity or plumbing. They have a self-cleaning nozzle so you never have to wash it yourself. You are able to adjust the water pressure with the knob on the control panel. You’ll also be able to set the direction which the nozzle will spray to make sure you’re hitting the perfect spot. Simple, affordable, and built to last a lifetime. These bidets replace your whole toilet seat unlike Fanny bidets which attach to your existing toilet seat. The spray jets are located under the seat and extend out far enough to spray you but cannot be adjusted. They are more expensive and can run up to a couple hundred dollars a pop. They are available in two styles: electric and non-electric. Bidet seats typically come with a hand-held remote control unit, while others have a side panel with buttons instead. The most expensive of all are the bidet toilets that come as a one-piece set. They can go up to $1,000 or more depending on which toilet you choose. 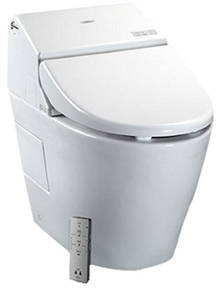 These bidet toilets usually have additional features such as heated seats, air dryer, and even fan-driven deodorizers. 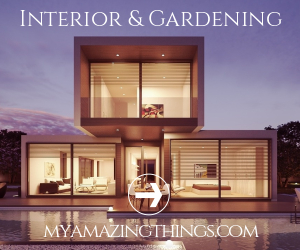 The downsides are they do require plumbing and electricity, driving up the expense even more. Installation will require a paid professional.